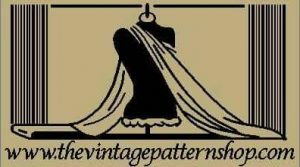 We are the THE VINTAGE PATTERN SHOP, based in England. Welcome to our NEW UPDATED website that went live Monday 20th March 2017. Step into our WONDERFUL Vintage Sewing Pattern World! We are the BIGGEST company worldwide, producing the LARGEST collection of reproduced Vintage Sewing Patterns, selling worldwide. Our collection is an ECLECTIC, CHIC, SWANKY, DASHING and EXQUISITE RANGE from the 1930s-to-1980s of ORIGINAL VINTAGE SEWING PATTERNS – PROFESSIONALLY REPRODUCED in FULL SCALE PATTERN PIECES to a VERY HIGH STANDARD. You get a complete lift taken from the original vintage pattern and of course including instructions and much more!. My collection has been gathered together over many years and continued after I trained in Fashion Design and Pattern Cutting at The London College of Fashion. I now own a vast collection of Vintage Sewing Patterns and offer copies of these in this shop, allowing others to share the pleasure of producing these fantastic stylish creations from years gone by. 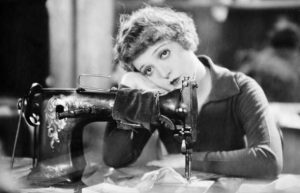 Over the next few months we will be adding to this new website, our ongoing, entire collection, of presently over 3000 vintage patterns and still counting. So please bear with us while we add these listings to this website. We source our Vintage Sewing Patterns worldwide and buy patterns continually to add to this fascinating collection of ours, so please keep looking. If there is any particular pattern you are after, please contact, as we are more than happy to help, and should you ever see original vintage patterns out there that you really like, but they are too expensive for you to buy, by all means draw this to our attention and we will consider purchasing it to add to our collection, thus enabling you to get a much cheaper copy of the pattern from us. Any questions please ask. We are always available either by email or telephone. Thank you for looking. The Vintage Pattern Shop…….oh my……. so much choice!